Beatrice Fay (Toliver) Richardson, age 89, of El Dorado Springs, Missouri, passed away at Community Springs Nursing Home in El Dorado Springs, on December 16, 2011. Bea was born March 1, 1922, in Cedar County, Missouri, the daughter of Horace and Gussie (Sayre) Toliver. Bea married Fred Richardson on October 15, 1939. They were married 55 years before Fred’s passing in 1995. 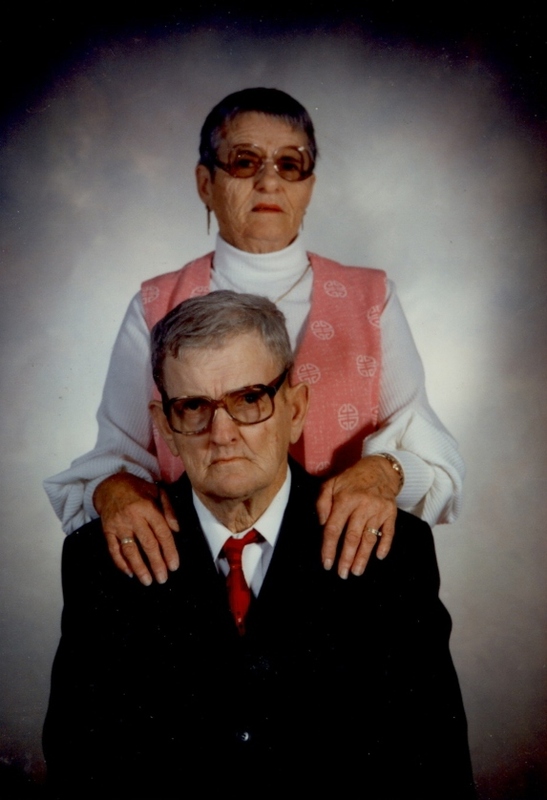 Except for the time Fred spent in the Army during World War II, Bea and Fred lived their entire married lives in the Pittsburg, Kansas area where Bea worked as a waitress until she retired to care for Fred during the last years of his life. After Fred’s death in 1995, Bea moved to El Dorado Springs to be close to her only brother and his family. At the time of her death, Bea had been a resident of the Community Springs Nursing Home in El Dorado Springs, since 2000. Preceding Bea in death were her husband, Fred; her parents; and nephews Ronald Toliver, Ross Toliver and George Richardson. “Aunt Bea” as she was fondly called by many who knew her, is survived by her sister-in-law, Virginia Toliver; nieces Sharon Henderson and husband Dan; Gertrude Melton and husband Jim; Rosena Johnson and husband Gene; Dixie Richardson; Alice Larsen and husband Brad; and Mary Sue Druart and husband Carl; nephews Wayne Toliver and wife Norma; and Jim Toliver. She also leaves behind numerous cousins, great-nieces and nephews, great- great-nieces and nephews, friends and loved ones. Graveside services were held at 11:00 A.M. on Tuesday, December 20, 2011, at Pittsburg Garden of Memories in Pittsburg, Kansas, where she was interred beside her husband. Arrangements were under the direction of Bland-Hackleman Funeral Home.